Extend your shooting experience while reducing the cost of your ammunition! A couple of months ago I started an experiment in hopes of gaining to insight into bullets with convention lube and coated. Missouri Bullets offers sample packs of their various bullets so I got 100 conventionally lubed and 100 coated Elmer Keith style 45 bullets. These are 255 grain SWC Lyman mold number 452424. Powders selected were Tight Group, True Blue and HS-6 (had on hand), Winchester LPP, and Star Line cases. Rifle is my Rossi '92, 20" octagon. Velocities were taken with a MagnetoSpeed sporter with start sensor about an inch and a half from the muzzle. Shot indoors on two separate days 72 degrees F and no wind. Loads taken from latest edition of the Lyman Cast Bullet handbook. I'm getting into powder coating my semi-auto pistol bullets. Not that I have been dissatisfied with lubed bullets, but rather to facilitate bullet feeding on a progressive press. You listed velocity, but I would be more interested in the groups the achieve. RD, I honestly didn't shoot for groups. I was indoors and resting with my elbows on the "bench" at the front of my cubical. My plan is to take the "best" load a batch and work off a rest first chance I get. First I've got to order most bullets. 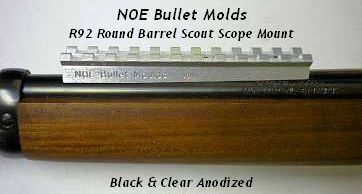 Mo Bullets uses a high tech coating that works with the polymer in acetone and then drying and baking. They are a distributor for the polymer. First time I have ever had a SD of 1. I think some of the higher SDs and higher ESs may have been from light crimps. Something I'm looking at. Thinking right now maybe an eighth more if it doesn't mess up cases. I've got a batch of winter weather so time to contemplate and work up loads. Sensor 1" from the muzzle? Are you certain you might not be reading muzzle blast gases as easily or as likely as the passage of the bullet??? Archer wrote: Sensor 1" from the muzzle? As I understand it the sensors are an inductor of some sort and the field produced is disturbed by a chunk of metal moving through it. I do know that it is sensitive to the distance from sensor to bullet path. Can,wait to get back outside and see what it does with black powder cartridges.